The Media Box is an energetic, highly talented, extra ordinary, professional, advertising agency, video production and events company. 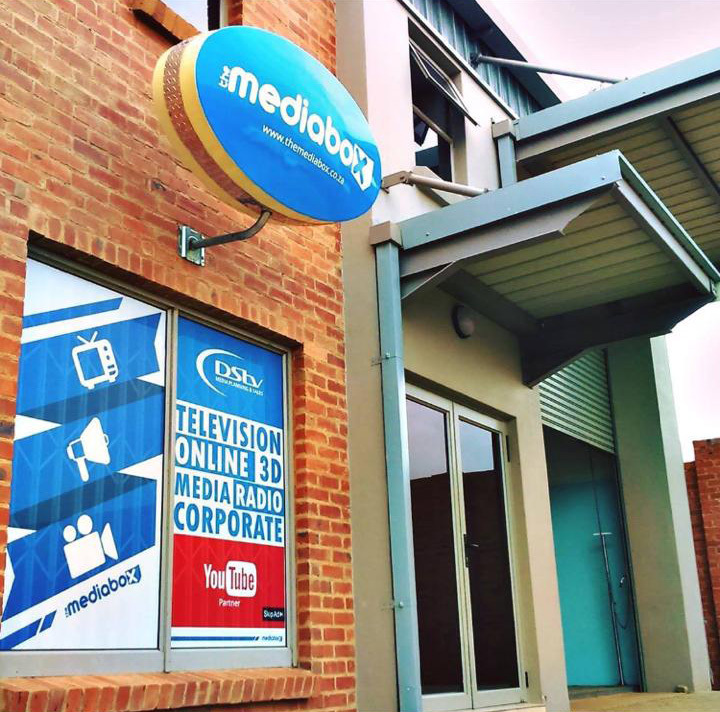 The Media box specializes in the entry level pay television advertising market for more than 8 years, we have become the leading DStv advertising specialists for small to medium enterprises. We do not try to be different, WE ARE DIFFERENT! We do not follow new techniques, WE CREATE THEM! Following new standards? Not us! WE SET NEW STANDARDS. This has ensured that we have no peers…these beliefs are the corner stones of The Media Box. In addition to Video and Multimedia Production we offer Digital Media, Print Media, 3D Media, TV, Live Events, Corporate Videos, DStv Advertising, Radio, Branding, Product Development, Website Design and Development, Signage and Billboards. "This is really flipping awesome!!!! Amazing that you pulled this together so quickly. Really great work. You guys really do rock!!! - Thank you!!!" The Media Box is a creative design and production agency specializing in video production and television, marketing, branding and commercial design. The dialogue between The Media Box and our clients is the most important ingredient to the design process. We strive to become one with our clients, understanding their needs and goals to have a better opportunity to make successful projects. Ultimately, design is about people, and if there are strong, healthy, client relationships, there’s a better chance to make good work, great. We are very fortunate to have a circle of great clients that return again and again. That’s what drives our creative work.